The survey is the first of the on-going monitoring surveys following that of the baseline, which ran in November 2009. 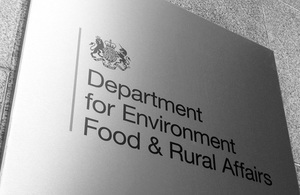 Statistics from the Defra Survey of Land Managed under the Campaign for the Farmed Environment for the 2009/10 crop year were released on 26 May. The survey is the first of the on-going monitoring surveys following that of the baseline, which ran in November 2009. The survey was run in the middle of February 2010 so results relate to this point in time and to the current 2009/10 crop year. Link to full statistical release.